Imagine a practice where every time you speak you bring yourself to the present moment, become more conscious, wake yourself up, take command of your life, and experience more peaceful interactions with others. Accordingly, their website design needed to be exceedingly clean, with a focus on comfortable reading of text (since they have 100’s of articles and blog posts). We also needed to incorporate a shopping cart that would allow for both registering for retreats and purchasing books. Email outreach was identified as being of the utmost importance. 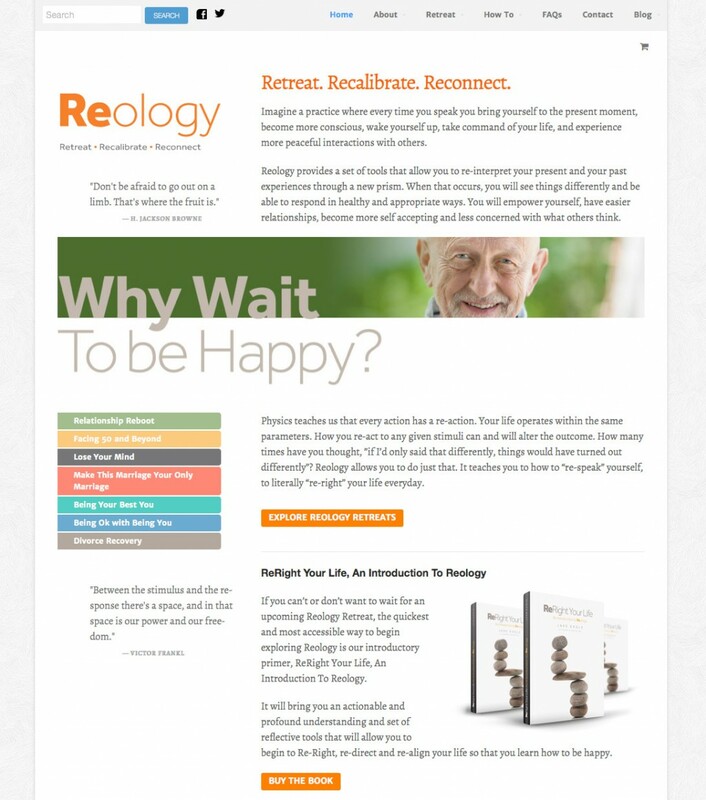 Since we couldn’t count on many visitors signing up for a week-long retreat at the very moment they chanced upon on one of Reology’s self-help blog posts, we needed to make sure we didn’t lose track of them forever. To solve this problem, we setup a system for requesting free articles and ebooks to be delivered via PDF to the visitor’s email inbox.